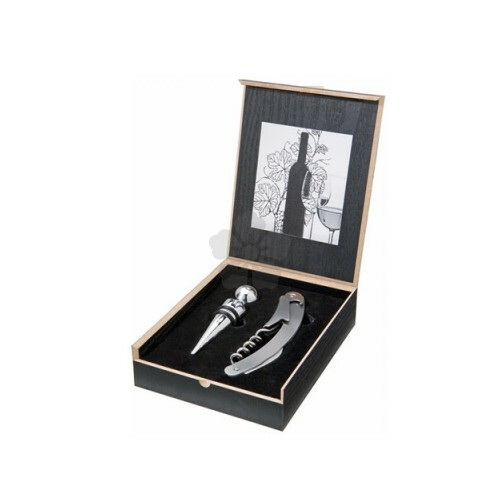 Deluxe 2 piece wine set supplied in a high quality black wooden presentation box. 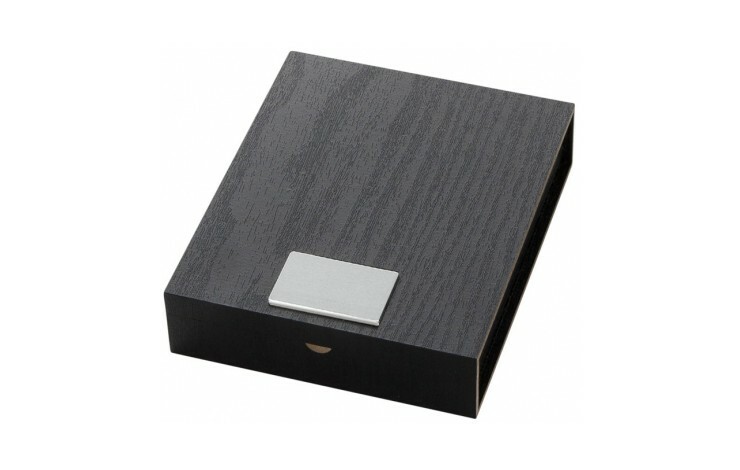 The lid of the box is custom printed with your design and contains a waitress knife and metal bottle stopper. Standard price based upon screen printing your logo however it can be engraved at extra cost. 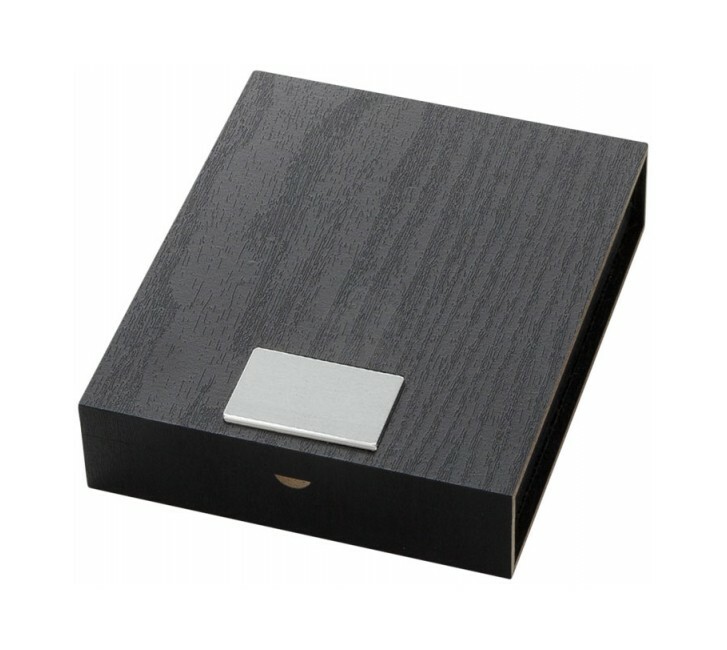 Metal Plate on the Lid of the Box.